Our staff members are caring and experienced professionals who understand that each family is unique and has personal requests and traditions. These requests and traditions are of utmost importance to our staff of licensed funeral directors and our funeral assistants. 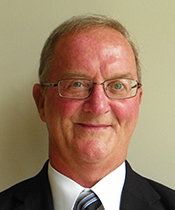 A native of Lake Mills, Iowa, Bill Nelson is a graduate of the University of Minnesota School of Mortuary Science. 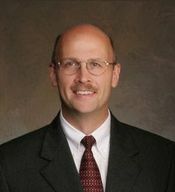 With over 34 years in funeral service, he has had extensive experience working in both large and small firms. He started his career working for larger and corporate firms and felt that he could provide more personal care if he owned his own funeral home. He opened his first successful location in 1993 in Wisconsin and sold it several years before relocating to Ohio. He and his wife, Leslie, bought Don Wolfe Funeral Home in 2005 and in 2015 went into business with Dee and Maria Swick of D.W. Swick Funeral Home with locations in New Boston and South Webster. In 2017 the location in Wheelersburg was added to the D.W. Swick-Nelson Funeral Home family. 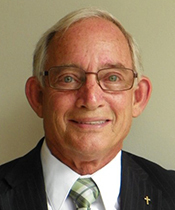 Bill is a licensed Funeral Director and Embalmer in Ohio, Kentucky, and Indiana. He has two children, Andrew and Laura, and three grandchildren. In his spare time Bill has been a volunteer coach for 12 years with the East High School Boys Basketball Team. 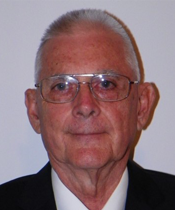 He is active in his church, is a member of the New Boston Kiwanis Club, and loves to fish, golf, and play tennis. 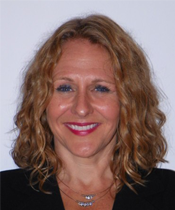 A native of Southern California, Leslie Nelson is a graduate of Cal State University Fullerton and a licensed Funeral Director in the state of Ohio. After her post-graduate studies in California, she became certified as a Microsoft Certified Systems Engineer. Leslie keeps the flower planters blooming in our gardens and assists with visitations and funerals. She is also the creator of the customized Video Tributes that we offer the families we serve. In her spare time she volunteers as part of the technical crew at her church, loves to sing, and raises orchids and African Violets. Dee has over 45 years of experience serving families during their time of greatest need. A native of Sciotoville, he attended East High School, Ohio University, and is a graduate of Pierce Commonwealth Mortuary College in Houston, TX. 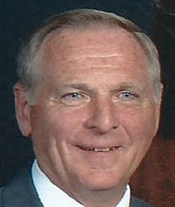 He worked for Don Wolfe Funeral Home from 1970 – 80. He then relocated to the Houston, TX area where he was a manager of multiple funeral homes for SCI. 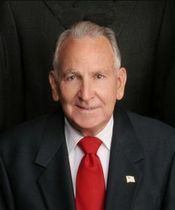 Dee wanted to provide a more personal funeral experience for his families that he felt could not be achieved in a corporate environment and by 1994 he had opened two funeral homes in Texas. In 1995 he moved back to Scioto County to purchase Warren Funeral Home and Pennington Bishop Funeral Home in New Boston. Dee then opened a location in Wheelersburg in the old Brock Funeral Home building in Wheelersburg, both of which became locations for D.W. Swick Funeral Home. In 2000 at the urging of local community leaders, he opened another location in South Webster. He sold the Wheelersburg location in 2006 and is thrilled that we are now opening up this location once again under the D.W. Swick-Nelson name. Dee is married to Maria Swick and they have two children, David and Jessica. He has 3 additional children from a previous marriage who live in Florida. He attends Lifepoint Church in Portsmouth, is a member of the New Boston Kiwanis and Western Sun Masonic Lodge #91. In his spare time Dee farms and tends to his horses. 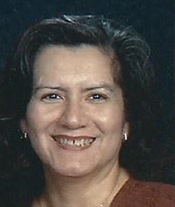 A native of Texas, Maria moved to Ohio in 1994 with her husband Dee Swick and their two children, David and Jessica. David recently graduated from Capital Law School and Jessica Swick is a graduate of Asbury University majoring in Equine Studies. Maria is a licensed Funeral Director in Ohio, volunteers and is a sub in the office in the Bloom Vernon School District. She enjoys volunteering her time with the Steven A. Hunter Power Pack program and the summer food program in the South Webster area. Maria is also a member of the Ladies Auxiliary in South Webster and the New Boston Kiwanis. Lorenzo is a lifelong resident of the area and a longtime Pastor in New Boston. He lives with his wife and children on a farm that keeps him busy in his spare time. Born and raised in Cincinnati, Laura has lived in the Southern Ohio area her entire life and has raised five wonderful children. 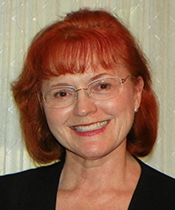 She has worked in administrative positions in the medical, publication, and educational fields. She is an adventurous person and enjoys kayaking, running, biking, yoga, and loves to try new things. Laura enjoys traveling and looks forward to her next adventure. Dan is a member of the New Boston Village Council. He was born in North Moreland and has been part of the New Boston Community through his participation in youth baseball, summers at Sun & Funland Pool, and attends Christ United Methodist Church in Sciotoville. He is also known for his many years of officiating experience in soccer, basketball, baseball, and softball. Dan recently retired after 36 years with Sunoco Chemicals accounting department. He and his wife, Janet, have two children — Rodney and Rachel (graduates of Glenwood High School) — and six grandchildren. A native of Portsmouth, Jim has always enjoyed serving the public and has spent his professional life in customer service positions. He spent 29 years working for Big Bear Grocery as a meat cutter and meat department manager. He then worked for 5 years as a manager of Golden Corral in New Boston. Jim is married to Sharon and has 3 children. 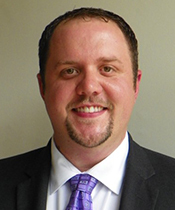 He has worked for D.W. Swick for over 5 years as a Funeral Assistant and will continue to be a valued member of the Swick-Nelson team. Born and raised in Scioto County, Larry has lived here his entire life, graduating from Portsmouth High School. For 23 years he was considered one of the finest muffler installers in the county and subsequently was a partner in The Muffler Place in Portsmouth for 12 years. After spending a year in maintenance with Hempstead Manor, he spent four years working for the county as an officer of the Juvenile Court, retiring in 2005. In his spare time, Larry still loves to work on cars and attend local car shows. He lives locally with his wife, Nancy. Born in South Webster, Ryan currently lives in New Boston. He is a 2005 graduate of South Webster High School and subsequently graduated from Shawnee State with a BA in Sociology. He then graduated from Ohio University with a Masters in Social Work. Ryan began working in funeral service for Dee and Maria Swick in 2012. His lifelong desire to help others in some capacity made working as a funeral professional a good fit. He often sees times where Social Work and the funeral business go hand in hand, helping others with their needs during a difficult time. Ryan has found that working for the funeral home, being there to console others in some of their hardest times, is profoundly satisfying. Ryan is licensed as a Social Worker in the state of Ohio and works for SOMC in Portsmouth. He also volunteers as Co-Chairman for the Alzheimer’s Association, Portsmouth chapter. Don Wolfe was a funeral director and embalmer for over 55 years. A long time resident of the Portsmouth area, he worked for other funeral homes until 1970 when he opened Don Wolfe Funeral Home in Sciotoville. Don and his family provided caring and compassionate service to the surrounding communities for the next 35 years. He was a long time supporter of his church as well as numerous educational and community organizations. Don passed away on January 31, 2018.